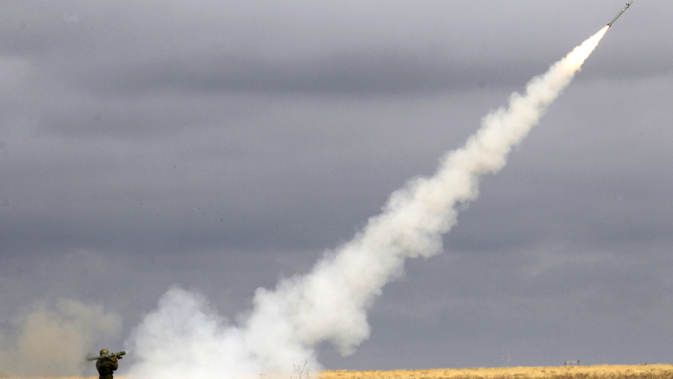 The Russian missile defence system is known for its sophisticated capabilities RIR looks at five of the most advanced systems that help to defend against aerial attack. The Russian Aerospace Defence Forces are armed with long range rocket complexes that are capable of simultaneously tracking multiple targets. This man-portable air defence system has a fairly simple construction (a launch tube and a rocket) and is designed to engage airplanes, helicopters, and drones at low altitudes in conditions of both naturally occurring and artificially produced thermal noise. The Igla-S is virtually undetectable by reconnaissance technologies and has a high degree of accuracy. Many experts believe that this MANPADS surpasses all currently existing analogues. It has demonstrated its combat capabilities in several conflicts, such as in the former Yugoslavia and in Syria. Igla-S MANPADS have been supplied to countries in Southeast Asia, Central Asia, the Middle East, Central Europe, Latin America, the Caribbean, and Africa. The portable anti-missile, anti-aircraft system S-300 VM Antey-2500 is a universal means of missile and air defence. It is as capable of engaging ballistic missiles within a range of up to 2,500 km as it is of intercepting all types of aerodynamic targets. The avionic system of the S-300VM is outfitted with two radars: a circular scan radar and a software-based radar. The former scans all surrounding space and is primarily designed to detect airplanes and helicopters, while the latter is missile-seeking. Right now, the S-300 VM is the most powerful Russian air defence missile system available for export. Venezuela currently possesses S-300VMs. This system is designed for the short range defence of civil and military targets against all existing and potential means of aerial assault, including protection against long range air defence systems. It can also defend a protected object from ground and naval threats. The Pantsir S-1 is currently undergoing its trial by fire in Syria, where military specialists are remarking on its portability (a mere five-minute deployment time), its high firepower capabilities, and its accuracy. The Pantsir will take down any target, from а sparrow to an aircraft. Experts consider it peerless. This weaponry is currently in the service of Algeria, Iran, the UAE, and Oman. The RS S-400 Triumf is designed to engage aerodynamic aerial targets (tactical and strategic aircraft and jamming craft such as AWACS and KR aircraft), including engagements with stealth technology at a range of about 400 km. It can intercept ballistic missiles, supersonic targets, and other existing and potential means of aerial assault. In comparison with its predecessor, the S-300 Triumf, the RS S-400 has increased its rate of fire two and half times over. It will be available for export after 2016. The RS S-500 is the newest generation of anti-aircraft missile systems, which purportedly will utilize the "split decision" concept for destroying multiple ballistic and airborne targets at once. The basic objective of the S-500 is to combat medium-range and intercontinental ballistic missiles. According to its creator, the newest defence system will even be able to reach low orbiting satellites, space weapons, and orbital weapons platforms. The S-500 is currently in development and may be available as soon as 2017.